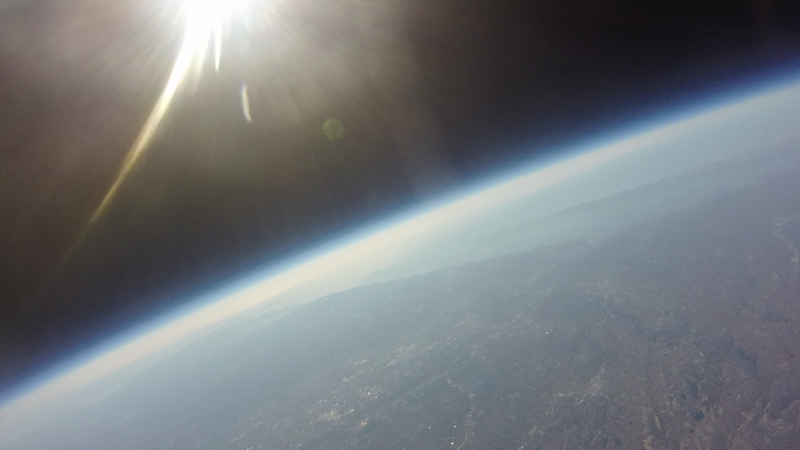 Flight 2 had a similar payload but managed to blow through the 100K foot altitude, capturing stunning video of the weather balloon breaking. Their most recent flight carried a more complex payload package, consisting of the usual camera and GPS but also a flight data recorder of their own devising, as well as a pair of particle detectors to measure the change in flux of subatomic particles with increasing altitude. That flight “only” reached 62,000 ft (19,000 meters) but managed to hitch a ride on the jet stream that nearly took the package out to sea. What’s in store for this year’s Global Space balloon Challenge? You are, of course, encouraged to add your own questions to the discussion. You can do that by leaving a comment on the High-Altitude Ballooning Hack Chat event page and we’ll put that in the queue for the Hack Chat discussion. Our Hack Chats are live community events on the Hackaday.io Hack Chat group messaging. This week we’ll be sitting down on Wednesday, February 6, at noon, Pacific time. If time zones have got you down, we have a handy time zone converter. You don’t have to wait until Wednesday; join whenever you want and you can see what the community is talking about. We always think that crossing the Atlantic in a blimp would be very serene — at least once they put heaters on board. The Hindenburg, the R-101, and the Shenandoah put an end to the age of the airship, at least for commercial passenger travel. But you can still fly your own with a helium balloon and some electronics. One notable project — the Blimpduino — has evolved into the Blimpduino 2. The open-source software is on GitHub. We couldn’t find the PCB layout, so we aren’t sure if it is or will be open. The 3D printed parts are available, though. The PCB is the heart of the matter, a four-layer board with an ARM M0 processor, an ESP8266 WiFi module, four motor outputs, two servo motor outputs, a 9-axis inertial navigation system, an altimeter, and a forward object detection system. There’s also a battery charger onboard. That’s what [IzzyBrand] and his cohorts did, and we have to say we’re mightily impressed. The glider itself looks like nothing to write home about: in true Flite Test fashion, it’s just a flying wing made with foam core and Coroplast reinforced with duct tape. A pair of servo-controlled elevons lies on the trailing edge of the wings, while inside the fuselage are a Raspberry Pi and a Pixhawk flight controller along with a GPS receiver. Cameras point fore and aft, a pair of 5200 mAh batteries provide the juice, and handwarmers stuffed into the avionics bay prevent freezing. After a long series of test releases from a quadcopter, flight day finally came. Winds aloft prevented a full 30-kilometer release, so the glider was set free at 10 kilometers. The glider then proceeded to a pre-programmed landing zone over 80 kilometers from the release point. At one point the winds were literally pushing the glider backward, but the little plane prevailed and eventually spiraled down to a perfect landing. We’ve been covering space balloons for a while, but take a moment to consider the accomplishment presented here. On a shoestring budget, a team of amateurs hit a target the size of two soccer fields with an autonomous aircraft from a range of almost 200 kilometers. That’s why we’re impressed, and we can’t wait to see what they can do after a release from the edge of space. BACAR — Balloon Carrying Amateur Radio — is just what it sounds like. A high-altitude balloon carries experiments and communicates via amateur radio. [ZR6AIC] decided to fly a payload in a local BACAR experiment. The module would send its GPS position via the APRS network and also send a Morse code beacon every seven minutes. It also sends other data such as temperature, and has an optional camera fitted. The hardware used was the ubiquitous Raspberry Pi along with an associated daughterboard for transmitting on the 2 meter ham band. An RTL dongle took care of the receive portion and another dongle provided GPS. A DS18B20 temperature sensor provides the temperature data. 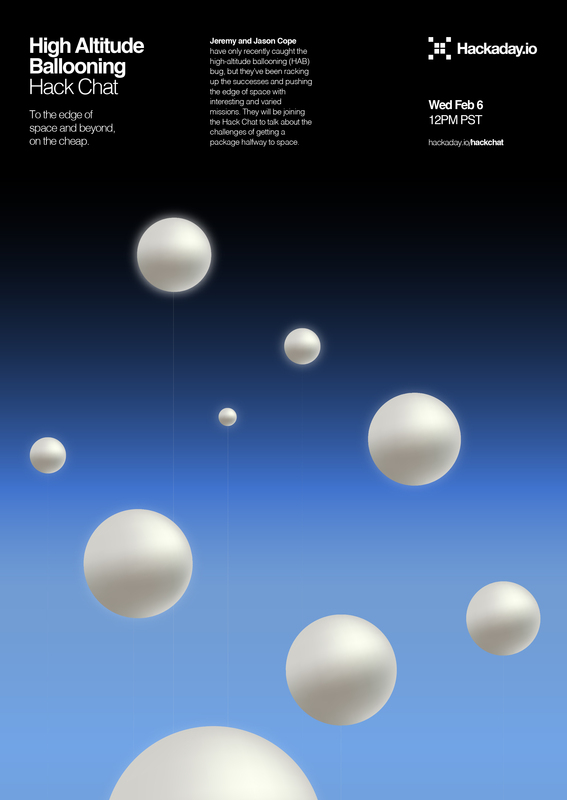 The current incarnation of “Bubble Blast” stems from a project [Niklas Roy] undertook for a festival in Tunisia in 2017. That first version used heavily hacked toy RC cars controlled with arcade joysticks. It was a big hit with the crowd, so [Niklas] built a second version for another festival, and incorporated lessons learned from version 1.0. The new robots are built from scratch from 3D-printed parts. Two motors drive each bot, with remote control provided by a 433-MHz transceiver module. The UI was greatly improved with big trackballs, also scratch built. The game field was expanded and extra obstacles were added, including a barbed wire border as a hazard to the festooned bots. And just for fun, [Niklas] added a bubble machine, also built from scratch. The game looks like a ton of fun, and seems like one of those things you’ve got to shoo the adults away from so the kids can enjoy it too. But if you need more gore from your robot deathmatch than a limp balloon, here’s a tabletop robot war that’s sure to please.